Salient features of the Whistle Blower’s Protection (Amendment) Bill, 2015, were deliberated upon in a written reply to a question by Ashok Shankarrao Chavan in the Lok Sabha on Wednesday. Modelled on the provisions of Section 8(1) of the Right to Information Act, 2005, amendments to Section 4 of the earlier Whistle Blower’s Protection Act, 2014, prohibit disclosures prejudicially affecting the sovereignty and integrity of India, the security, strategic, scientific or economic interests of the state, friendly relations with foreign states, or lead to incitement to an offence, etc. Amendment to Section 5 provides that the Competent Authority shall not inquire into any public interest disclosure which involves information of the nature specified in the amended Section 4. As per the amended provisions in Section 8, no person shall be required to furnish any information or answer any question or produce any document or render any other assistance in an inquiry under this Act, if the same is likely to result in the disclosure of any information of the nature specified in the amended Section 4. 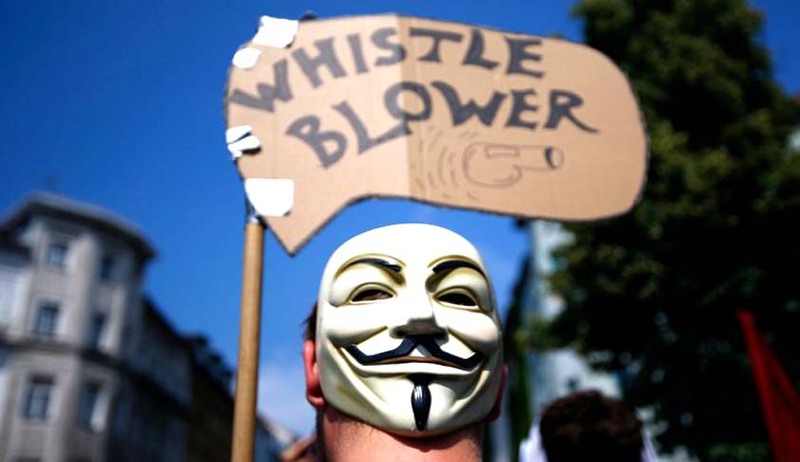 The government introduced amendments to the Whistle Blower’s Protection Act, 2014, and tabled the Whistle Blower’s Protection (Amendment) Bill, 2015, in the Lok Sabha on 11-05-2015, which was passed on 13-05-2015. The Bill is presently pending in the Rajya Sabha.